CFEs possess many of the skills that companies need on their boards of directors: skepticism and curiosity, analytical thinking, reading comprehension, interviewing and communication. Also, the Sarbanes-Oxley Act stipulates that public companies need "financial experts" on their boards' audit committees — perfect places for CFEs. I once was a member of the audit committee of the board of directors of a U.S. public company with global interests. The committee received a whistleblower tip from a disgruntled employee who said that some of the executives of one of the company's European subsidiaries were bribing government officials to get business. My CFE experience helped me analyze the tip and decide that it was real. We investigated the tip and found that some executives, indeed, had given inappropriate "consulting payments" to government officials. The board immediately terminated the guilty employees and shut down the subsidiary. 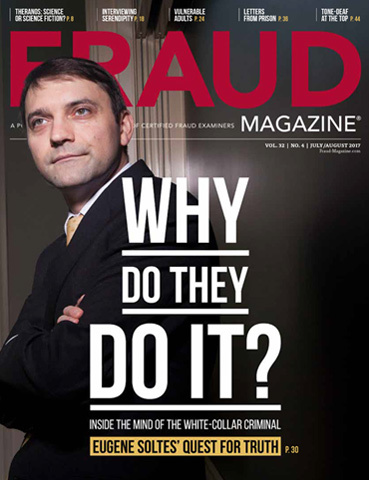 Because I was a CFE, I understood the U.S. Foreign Corrupt Practices Act and the dire consequences for a company that violated it plus the machinations of bribery schemes. In 2002, Congress passed the Sarbanes-Oxley Act primarily because of the many large, devastating corporate financial statement frauds, such as Enron and WorldCom, at the beginning of the century. The act, and the Securities and Exchange Commission (SEC), requires that every public company's board of directors have a "financial expert" on its audit committee. During the year after the passage of SOX, all public company boards scrambled to appoint financial experts. Because of my work as an accountant and CFE, in 2003 more than 10 boards of directors asked me to join them. During the past 12 years, I've been on eight boards of directors, including four public companies and four private companies. I believe I know what makes a good board and audit committee member. The CFE-related work I'd done prepared me well to serve on boards. In this article, I share board experiences I've had and describe why CFEs are well-prepared to serve as board of director members. What is a board of directors and an audit committee? A board appoints its CEO, and he or she reports to it. All executives are accountable to the board to earn a return for shareholders. Every public company has a board of directors because of the "principal-agent problem": the two main parties in a corporation — the owners (the principals) and management (the agents) — sometimes have competing and/or conflicting interests. The corporation's shareholders want a profitable, healthy, long-term organization that serves customers and maximizes shareholder value. However, most shareholders don't have the time or ability to physically run the business. So, to accomplish their goals, they rely on a management team to represent them and carry out their interests. However, problems arise when the management team places its own interests in front of the shareholders' interests. Boards have two responsibilities: 1) provide oversight over management to insure it acts in the best interests of shareholders and 2) provide advice to management to help it make decisions that will further the aims of the corporation. The audit committee is responsible for oversight of all financial statements, external and internal auditors; a company's internal controls; and financial, legal and other risks a company faces. Most CFEs would make the greatest contribution to audit committees as the financial experts. Board members are paid well for their service. The average board member at a publicly traded company made about $168,270 in 2012 — up nearly 30 percent from 2008, according to Board of directors compensation on the rise, but less of it is cash, Sept. 13, 2013, by Jon Xavier, Silicon Valley Business Journal. Pay for directors at Standard & Poor's 500 Index companies rose to a record average of $251,000 in 2012, according to Board Director of Pay Hits Record $251,000 for 250 Hours, by Jeff Green and Hideki Suzuki, May 29, 2013, BloombergBusiness. What is a 'financial expert'? An understanding of generally accepted accounting principles and financial statements. Experience applying generally accepted accounting principles in connection with the accounting for estimates, accruals and reserves that are generally comparable to the estimates, accruals and reserves, if any, used in the registrant's financial statements. Experience preparing or auditing financial statements which present accounting issues that are generally comparable to those raised by the registrant's financial statements. Familiarity with internal controls and procedures for financial reporting. As a principal financial officer, principal accounting officer, controller, public accountant or auditor, or in one or more positions that involve the performance of similar functions. Actively supervising a principal financial officer, principal accounting officer, controller, public accountant, auditor or person performing similar functions. Overseeing or assessing the performance of companies or public accountants with respect to the preparation, auditing or evaluation of financial statements. I haven't had experience as a principal financial officer, a principal accounting officer, a controller or a public accountant, or supervising anybody in these positions. I'm a professor who has taught accounting, auditing and forensic accounting. As you can see, the SEC doesn't give any credit for teaching under its definition of a financial expert. However, as a CFE, I've served as an expert witness in 36 fraud cases in which I obtained experience overseeing and assessing the performance of companies and public accountants in the preparation, auditing or evaluation of financial statements. Were it not for my expert witnessing and other CFE fraud examination experiences, I wouldn't be qualified to be a financial expert. Reading and analyzing financial statements. Understanding the role and nature of internal controls. Understanding when financial results don't make sense and identifying fraud, cash flow or other problems. 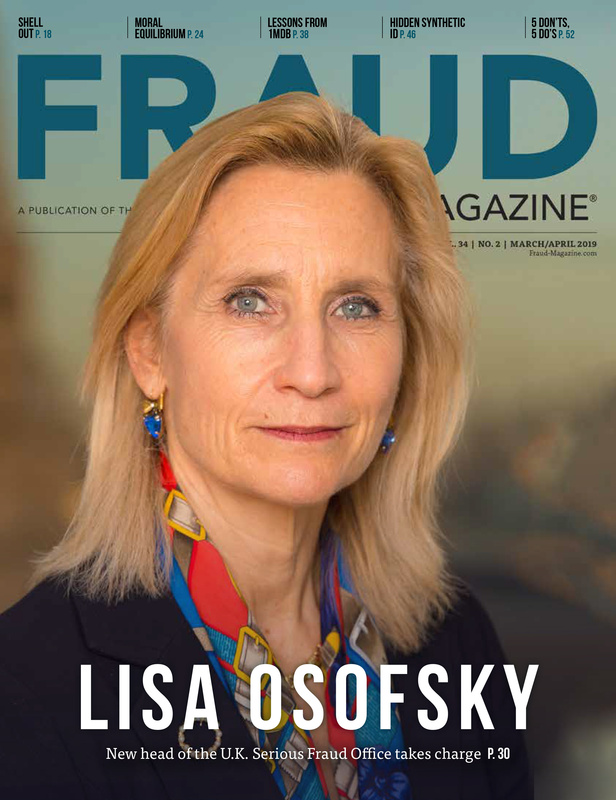 Knowing how to oversee investigations of potential fraud. Also, these CFE skills are invaluable: skepticism and questioning motives, analytical thinking, reading with understanding and comprehension, interviewing, communication and determining if something makes sense. As a CFE, you might think you have a narrow background. But you've developed skills that make you a great board and audit committee member and help you interact well in any business setting. Serving on a board of directors is like attending a very engaging MBA class except that we spend, borrow and invest real money; make decisions that affect people's lives; and determine strategies that will bring success to our companies. Below I share in a chart just some of my many board experiences in which my CFE skills have helped me make appropriate decisions and be a much stronger member than I otherwise would have. During my first board meeting, I was asked to serve on the compensation committee. While attending the committee meeting, I was blown away by the enormous pay that the company had promised the CEO. “I cannot support the level of pay being given to the CEO,” I told the committee members. That day, we reduced the CEO’s pay by half. The ACFE teaches CFEs to be skeptical and to question anything that doesn’t make sense. The CEO’s pay didn’t look right. As a new audit committee chair, I questioned the revenue recognition method the company was using. The committee members warned me that changing the revenue method and restating past results would bring both class action and derivative lawsuits. Regardless, I changed the revenue recognition method and restated past results. I insisted that we “do the right thing regardless of the potential costs.” In the end, we went through 17 shareholders’ class action and two derivative lawsuits filed that took years to resolve. However, our actions were vindicated when the SEC told us later they had been watching us and were going to question our revenue recognition method. 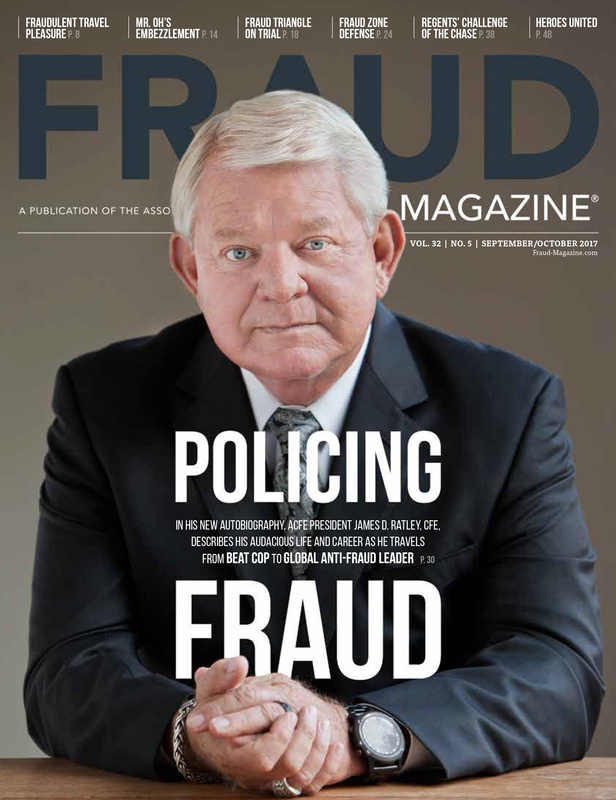 As a CFE, I was an expert witness in many large financial statement fraud cases. I realized from those experiences that not doing the right thing is a slippery slope that starts a company down the wrong road. The audit committee received a whistleblower tip that an accounting manager in a foreign company was overstating inventory balances to make his unit’s performance look better. As the committee chair, I had to decide whether to investigate the tip and inform management about it. My CFE experience helped me analyze the tip and decide if it was real. The committee didn’t know if top management was involved or if it was their “pressure” (per the Fraud Triangle) that was causing the reported problem. The committee decided not to inform management but to hire the best outside counsel and forensic accountants we could to investigate. The tip was real, and the company restated the company’s financial statements. After joining a board of directors, I learned that the SEC had issued a “Wells notice” against the company, which means it was planning to bring an enforcement action. The board determined that neither the company nor the officers of the company had done anything wrong and we should fight the Wells notice. Because of my expert witnessing experience and my past work with the SEC, the board asked me to meet with the SEC and try to resolve the issue. I spent an entire afternoon with the SEC, which dropped its intent to investigate the company. Past fraud examinations, expert witnessing, and the ability to analyze financial statements (all experiences I had as a CFE) helped convince the SEC to drop the Wells notice. The board was analyzing the company’s cash flow projections and the required future capital expenditures. The company was part of a very capital-intensive industry. I warned other board members that the company was going to have future cash flow problems. After much debate, the other board members agreed, and we sold a majority stake in the company to a much larger, more cash-rich company. CFEs must always think analytically. In this case, analyzing the future saved the company before cash-flow problems became too severe. In two different instances, the board received tips that distributor firms we were using were committing frauds in foreign countries. In one case, a firm stole copper and murdered someone to hide the fraud. In another case, the distributor firm was stealing our company’s products and selling it to competitors. 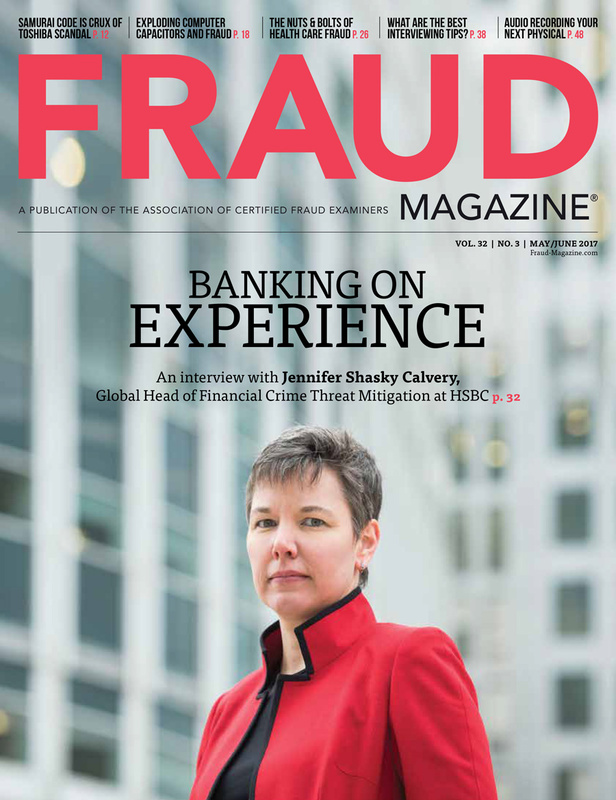 In both cases, my CFE background was helpful in overseeing the fraud examinations. A public company that appeared to be very successful interviewed me to be a board member. After the CEO and CFO extensively interviewed me about my background, they nixed me. 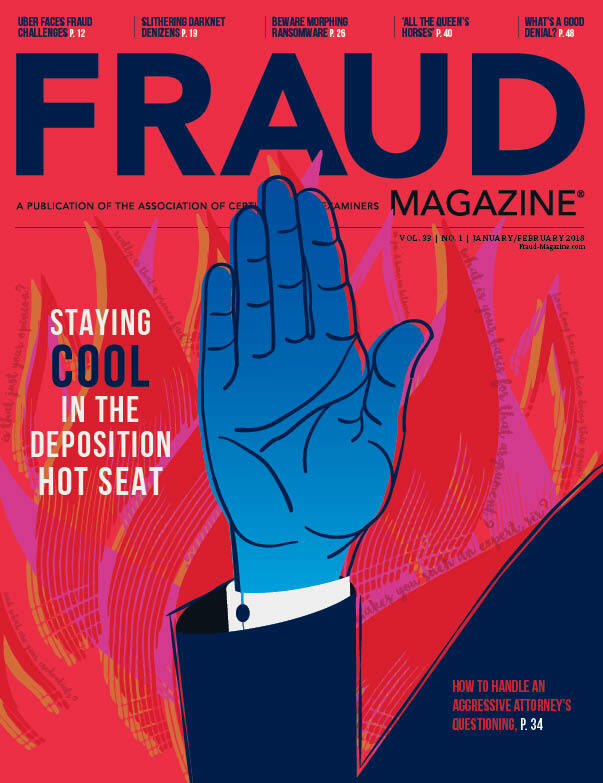 They said, “bringing a CFE on the board would give the impression that the company has fraud problems that need to be addressed.” Less than a year later, the board of directors fired the CEO for cheating on his expense reimbursements. People who are truthful and honest love serving with CFEs; those who aren’t, are afraid to have CFEs on their boards of directors. How do CFEs become board members? Financial, industry and global expertise. Most professionals would love to serve on a board of directors. Companies compensate them well, and they engage in real business decision-making. Serving on a board can be rewarding, energizing and fun. However, you don't go to school to prepare for these positions. No university offers a degree in board service. Rather, you become successful in your career, develop needed expertise and then a company invites you to serve on its board. 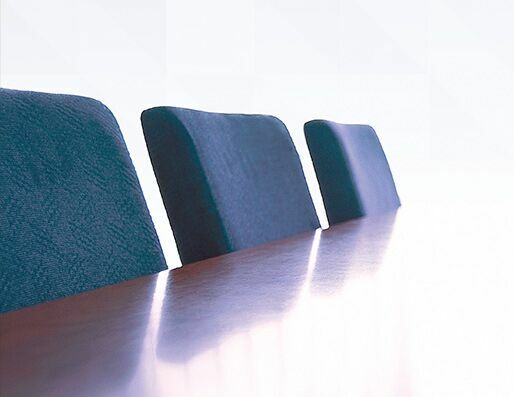 Companies often hire executive search firms to find the best and most capable board members. Your best strategies are: 1) become successful in the business world as a CFE, 2) maintain a good network of contacts, including executive search firms, 3) become an active ACFE chapter member, 4) attend chapter conferences and the 27th Annual ACFE Global Fraud Conference and 5) associate yourselves with organizations such as the National Association of Corporate Directors at which you'll have opportunities to meet and interact with other board members. 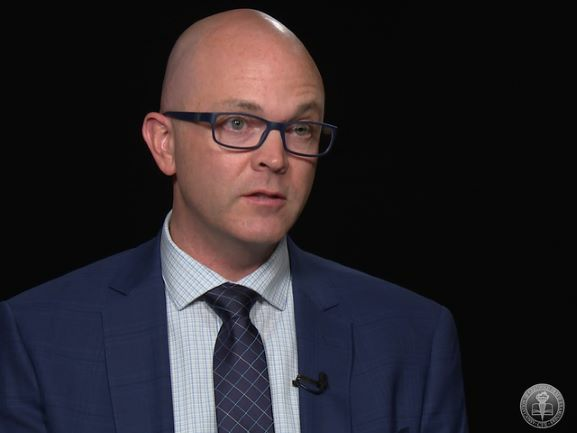 W. Steve Albrecht, Ph.D., CFE, CPA, CIA, is the Gunnell Endowed Professor of Accountancy in the Marriott School of Management and a Wheatley Fellow at Brigham Young University. Albrecht was the ACFE’s first president. See My reflections of how the ACFE began: Witnessing the birth of a profession. His email address is: wstevealbrecht@gmail.com. 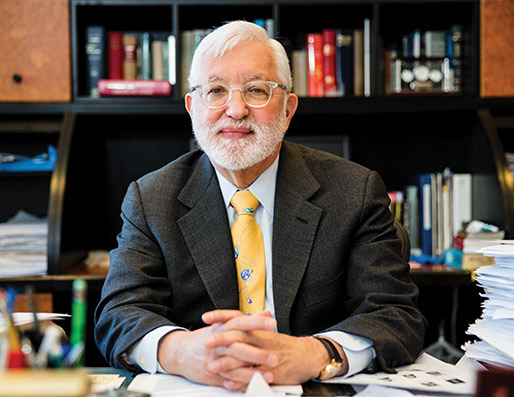 Senior U.S. District Judge Jed S. Rakoff, keynoter at the upcoming 27th Annual ACFE Global Fraud Conference, hasn’t shied from vividly chastising Wall Street and the U.S. government in the wake of the Great Recession. The new U.S. assistant attorney general for the DOJ’s Criminal Division, of course, encourages companies that conduct business in the U.S. to prevent and deter fraud and comply with all regulations. But if they discover possible crimes within their walls, then total cooperation will greatly ease their treatment. 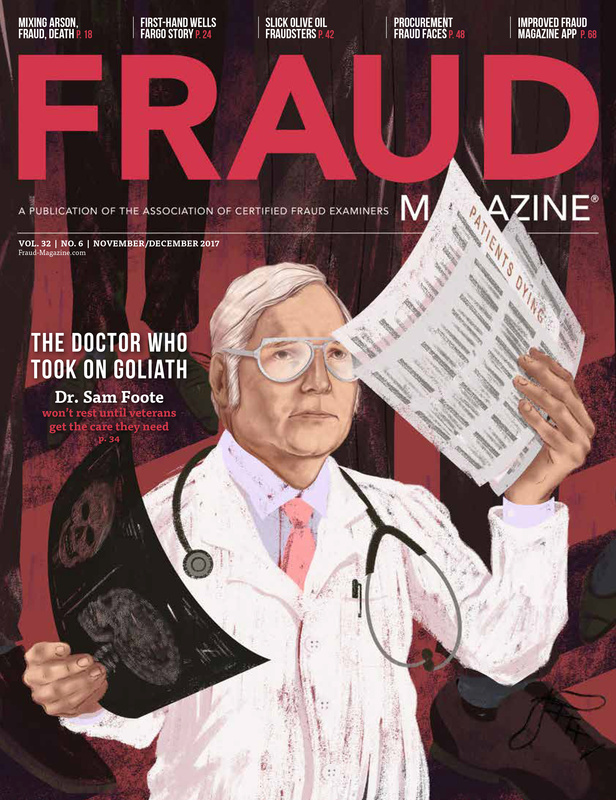 A pillar in the fraud examination profession provides tips, which can help ensure that at the end of a long career you'll know you did your best in fighting fraud.